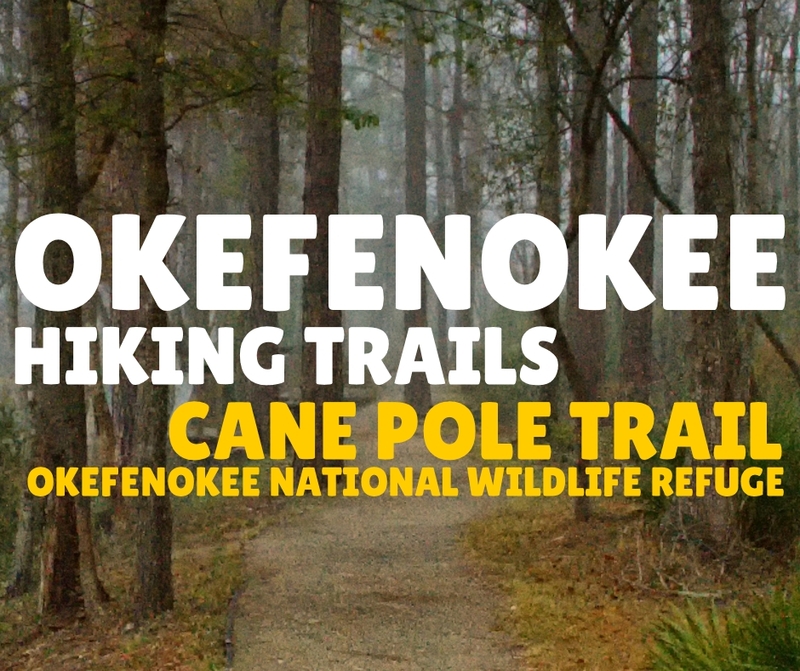 We start our Okefenokee morning with a stroll along the Cane Pole Trail. The trail begins at the east entrance parking lot in Okefenokee National Wildlife Refuge. My sons love this half-mile of trail that serves as a great spot for sighting wildlife near the visitor center. Cane Pole Trail leads hikers down a tree-shaded path to a boardwalk and sheltered wildlife viewing area. Our morning walk gave us the opportunity to see Great Blue Heron, Pileated Woodpecker, several frog species and dew-coated spider webs. In the afternoon, the boys fished from platforms lining this trail – the only fishing areas in this part of Okefenokee. I recommend first exploring the Visitor Center exhibits for a quick lesson on the Okefenokee Swamp, tips for sighting wildlife and ways to find cool plants. Visitors can also borrow Discovery Packs filled with goodies to help spot and identify wildlife while they’re here. I also suggest planning to hike this easy trail more than once. One of the reasons my sons really enjoyed this trail was seeing how it changed throughout the day.